Whether you are in the estate planning phase yourself or are dealing with the estate of someone else, we at Jeffs & Jeffs, P.C. can guide you through the process. 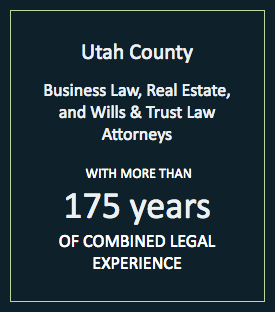 Combined, our Provo lawyers have more than 175 years of experience assisting clients throughout Utah. Additionally, we have developed a hard-earned reputation for delivering high-quality legal service and personalized support. Now more than ever, when economic uncertainty abounds, it is essential to have experienced counsel by your side when making important decisions regarding your legacy. Creating a new will: If you are interested in setting up a will, our dedicated lawyers can help you. Changing a will: Do you already have a will? Changes in life circumstances, including new heirs, loss or gain of assets, new employment or the passing of loved ones, may require you to change your will to address these new circumstances. Our Utah County lawyers can review your current will and determine if it needs to be altered to incorporate and preserve your wishes. Contesting a will: Unfortunately, there are instances when the beneficiaries named in a will and/or individuals not named in a will may disagree over the intent or validity of a will. 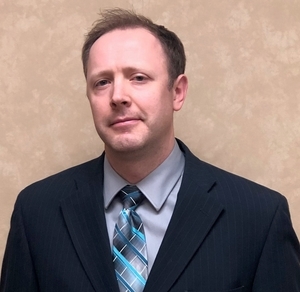 In these circumstances, it is important to engage a wills and trusts lawyer in Utah who can help you navigate through the complexities of a will contest. In addition to handling powers of attorney, probate administration and general asset protection, we at Jeffs & Jeffs, P.C. can assist you with creating, maintaining or dissolving a trust. Trusts are legal entities that hold assets “in trust” for beneficiaries. Like an individual, a trust can hold a variety of assets, including cash, real estate, securities, bonds and physical assets. Trusts are managed by trustees for the benefit of named individuals known as beneficiaries. They are sometimes used as estate planning instruments to protect assets from taxation or government seizure while still maintaining some control over the disposition of the assets. We at Jeffs & Jeffs, P.C. are proud to assist you with any aspect of wills and trusts. To speak to one of our experienced attorneys, please contact us today by phone at 801-373-8848 or via our online form. We have flexible hours, free parking and are located two blocks from the Provo courthouse and one block from the new Latter-Day Saints Historic Provo Temple. Should I get a will or trust? Determining if you need a will or trust can be a hard decision.